In a city that has spawned so many outstanding basketball coaches, long-time Richwoods High school coach Wayne Hammerton was one of the best. 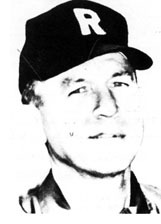 Hammerton ended a 30-year coaching career in the spring of 1966, the final 26 seasons at Richwoods, where his teams were annually a major factor in this hotbed of basketball. At the time of his retirement, Hammerton ranked 26th among Illinois prep coaches, with 578 wins (53-40 in his first four years of coaching at Atwood-Hammond) and 525-191 at Richwoods. His record at Richwoods could hardly be bettered. His 1991-92 team went 30-3 and finished second in the Class AA state finals. And, he was fourth in 1975, with another 30-3 team. A 27-2 team in 1980 made the Elite 8 and a 25-5 squad in 1985 got to the final round of 16. And nine other teams won regional crowns. There were also seven conference titles to celebrate. Few coaches could post a more consistent record. Of his 26 Richwoods teams, only one lost more than it won, and none of the other teams won less than 15 games. A dozen won between 20 and 30 games. There were two great eras in all that: from 1973 to 1976, with all-staters Mark Smith and Derek Holcomb available, Richwoods went 83-6; and from 1979 through 1986, the record was 160-33. In his final four seasons, he coached the most prolific scorer in local history, Mike Robinson, who produced 2,944 points. 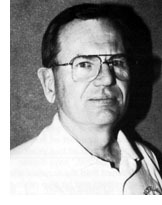 And Hammerton did more than coach basketball: for 31 years he was also golf coach and had a .799 winning dual meet mark (377-95) and was 45-3 in four years of cross-country dual meets.